Now Resorts & Spas is happy to offer a special 10% discount to US Military Personnel, AARP Members and AAA Members! Please use the links below to book your discounted stay! We are looking forward to your visit! Take your Riviera Mayan vacation to the next level for only $5 at Now Jade or Now Sapphire Riviera Cancun. 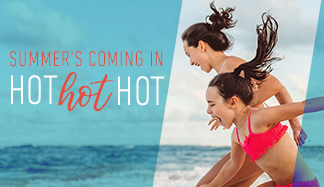 Get the room upgrade you and your family have always dreamed of for an extra $5 USD per night when you book by June 18th and travel by December 22, 2019. Ready to transform your tropical view into sights of the beautiful sea? Invite a friend to stay for free at Now Amber Puerto Vallarta. Travel with 3 adults from August 17th, 2019 to October 31st, 2019 and the third adult is free. Plus receive $200 in resort coupons! Family time comes naturally at Now Natura. Visit our newest resort to reconnect, explore and make memories. Rates start from $113 USD per person, per night. The Civil Wedding is celebrated in Spanish. If necessary, the resort will provide English, French or German translators.